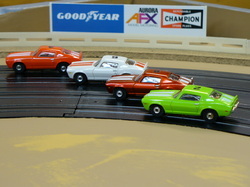 I have been racing and collecting Aurora AFX slot cars for many years. I do not claim to be an expert on these slot cars, but I will share with you the things that I have learned over the years. This site is more for the beginner, novice, or that person getting back into the hobby after being away from it for many years. 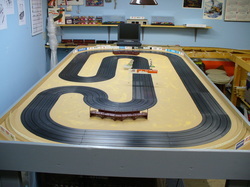 As a boy in the 1970's, I started to explore slot cars not knowing that 30 plus years later it would turn into a passion. A toy that was made with kids in mind has become an adult hobby for many people all over the world. 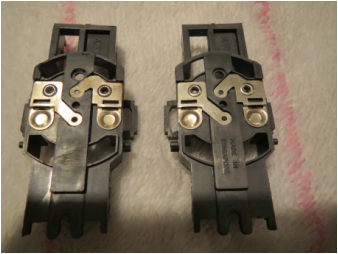 Where do I find AFX slot cars? I have purchased cars from all over the United States. 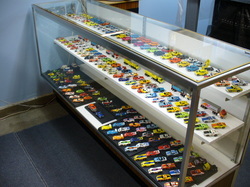 Now at over 350 slot cars and still collecting! I also collect Aurora Thunder Jets (T-Jets) and a few other brands. 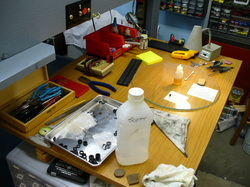 I enjoy repairing slot cars as much as racing them. 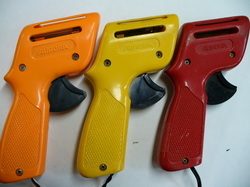 Aurora slot cars are one of the few brands that can be completely rebuilt. 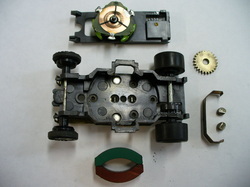 Parts for Aurora slot cars are still easy to get on the web and some hobby shops. So you want to buy some new cars for your collection. Ebay has a good selection of slot cars. Buyer BEWARE! Here are some tips to make your slot car purchase a better experience. 1. Pictures! Pictures! Pictures! A photo can say a thousand words. If the photo is to far away and/or to blurry see good detail than they may be trying to hide damage. The more clear pictures the better! 2. Ask the seller questions. 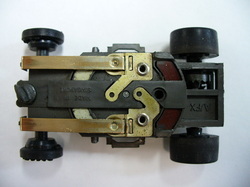 If they don't reply or are not very clear about the slot cars condition they may be hiding issues with the car. 3. 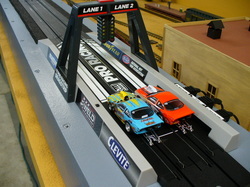 Quality of the slot car, Collector quality slot cars are going to bring higher prices than an average condition car. This is were you need to decide, Do you want a slot car to set on the shelf or an average condition slot car that you can race? 4. 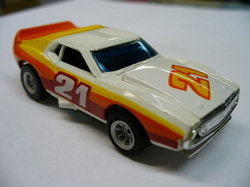 Spend the time to research slot car conditions and prices compared to other like slot cars on Ebay. Don't buy just because you think you will not see another one, there will be more of them! 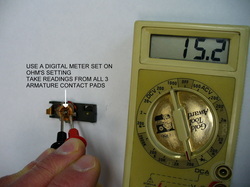 This is not a sure cure from being burned on Ebay but will reduce your risk of buying junk. I have received some great emails with questions and comments. Use this new Tab to share with everyone! * Magnatraction Rebuild Video Series NEW!